Usually, matriculation ceremonies leave sweet memories in the minds of newly admitted students of tertiary institutions. But for newly admitted students of College of Health Technology Calabar, memories of post-matriculation punishment may last longer than the thrills of the ceremony. This is because the students have been “working as cleaners” in the College since Monday, for reportedly showing disrespect to Professor Ivara Esu, Deputy Governor of Cross River State, when he served as Special Guest of Honour at the College’s 11th Matriculation ceremony held on Thursday last week. According to eyewitnesses at the matriculation ceremony, most newly admitted students vacated their seats to take pictures with their friends and families when the Deputy Governor was reading his address at the occasion. The students reportedly failed to exhibit the kind of humility that is usually associated with fresh students of tertiary institutions. 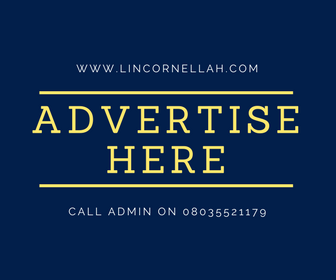 A Lecturer in the College who craves anonymity told LinCornellah’s blog that it got so embarrassing that “the Deputy Governor almost threatened to ask that the admission of these students should be revoked”. The Lecturer added that whereas most persons want to have a personality like the Deputy Governor in their midst, newly admitted students of the College shunned him completely. The Lecturer described the conduct of the students as “witchcraft”. He said that as a result of that “uncivilized and decadent behavior”, the College’s Management held an emergency meeting after the matriculation ceremony and resolved that the students should undergo punishment for a period of one week. They have been clearing garbage, scrubbing dirty spots from walls and ensuring general cleanliness in the College. Affected students have also been exempted from lectures throughout this week, as part of that punishment. However, the punishment does not affect newly admitted students of Departments of Computer Science and Public Health respectively, as they were reportedly seated and well behaved, throughout the duration of that ceremony. That excuse conjures the image of a bride abandoning her guests at the venue of her marriage ceremony, because the sound system went bad and the ceremony got boring. This is a good one bizarre though, if we inculcate the habit of discipline in our undergraduates early enough; the much talked about gross indiscipline will be reduced if not completely eliminated from our higher institutions as well as our society. (Proverbs 29:15 & 17). But then again, are they in the secondary school to undergo this kind of ‘punishment’? (My thoughts sha o) . Winnieeenu, we appreciate your thoughts. More of such, please!